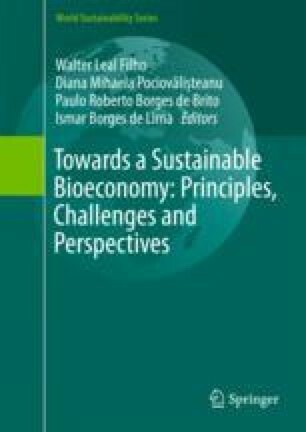 Bioeconomy encompasses the production of renewable biological resources and their conversion into bio-based products with less environmental impact (e.g. bioplastics). To boost the bioeconomy, it is crucial that companies not only develop these products, but also successfully market them. However, companies are often confronted with poor product acceptance by end-consumers. Depending on the product category, different barriers to acceptance seem to prevail but these are not yet fully understood. This paper seeks to contribute to understanding and overcoming these barriers by analysing product acceptance using the schema theory. It is hypothesized that if associations with the core product attributes do not match the associations with environmentally friendly products, consumers are likely to experience schema incongruity. This rather unpleasant cognitive state can, as a consequence, induce negative a product evaluation. Therefore, adding the label ‘green’ or ‘environmentally friendly’ to inappropriate products might lead to a more widely-held negative perception of bio-based products. Consequently, this lowers consumer acceptance of the products and thus impacts upon market success. To analyse this effect, people’s associations with environmentally friendly products were tested by an Implicit Association Test. Additionally, a bio-based substitute suffering from schema incongruity was identified and examined using the empirical setting of an experiment and a questionnaire. The results show that environmentally friendly products are somewhat more strongly associated with ‘gentle’ than with ‘strong’. There was also a significant effect of congruity in the product presentation on the perception of stability and environmental friendliness. Thus, to market bio-based substitutes, companies should weaken core product characteristics like strength as little as possible by emphasizing environmental friendliness. Hence, the product presentation should focus on information regarding core attributes and market sustainability as an additional product benefit.